Description: Sized 25" x 36". 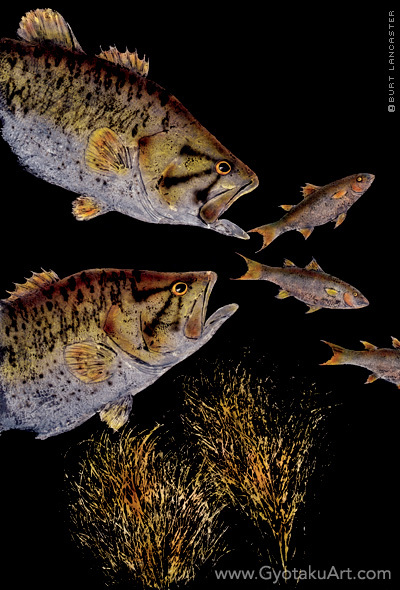 Two large mouth bass are chasing bait fish on a black background. Giclee is available. Species: Usual size is up to 8 to 10 lbs. Heavy and strong strikers and fighters. The Large Mouth Bass is much sought after for its battling ability. Found in freshwater lakes and streams.